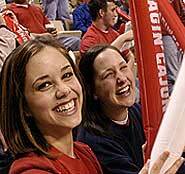 The University Program Council at UL Lafayette will be taking a student Bus Trip to the Ragin’ Cajuns vs. UL Monroe football game on Saturday, Oct. 4. The price is $40 which includes the bus ride, game ticket, and tailgating food and drinks. Sign up at the Student Union Information Desk or call 482-6939 for more information.